January always produces aces from far-flung places, with action in Australia, North America, Central America, South America and Europe all in the spotlight, depending on the age of the competitors. The United States was home sweet home for a half dozen American men, while collegiate tennis was the big winner in Australia and New Zealand last month. The 15-year-old from Ukraine reached the semifinals of the U.S. Open Junior Championships last September and since then has turned her attention to the ITF’s World Tennis Tour. After claiming two $15K events last year, Lopatetska moved up to the $25K level to start 2019 and won both tournaments she entered in Hong Kong. She took the first tournament’s title without dropping a set, beating Barbora Stefkovic of the Czech Republic 6-4, 6-2 in the final. Forced to qualify in the next week’s event, Lopatetska didn’t miss a beat, winning seven matches, including three from a set down. 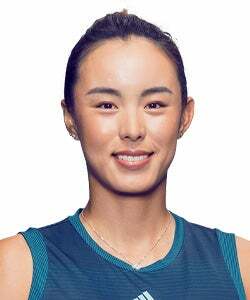 She defeated fellow qualifier Shuyue Ma of China 6-4, 6-3 in the final, and is now knocking on the door of the WTA Top 300. The former University of Tennessee Volunteer captured his first ATP title last month in his second ATP final, claiming the winner’s trophy at the ASB Classic in Auckland, New Zealand. The 27-year-old, who was unseeded, didn’t drop a set all week, beating wild card Cameron Norrie of Great Britain, the former TCU star, 6-4, 6-2 in the championship match. The title briefly moved Sandgren into the ATP Top 50, but he was unable to defend his 2018 quarterfinalist’s points at the Australian Open, so he now sits at 75 in the ATP rankings.